Pure and simple is how I like to keep it. 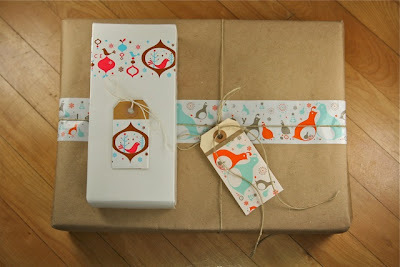 Kraft paper, a white box, twine and pretty tape, nothing could be easier. As much as I love thoughtfully wrapped gifts, my idea of the materials that go into packaging have changed. Something to do with owning a decorative packing tape company I suppose. I have come to appreciate not only the clever repurposing of materials but also to seek out things that can work double duty. Less to keep track of, less to buy and well... like they say, sometimes less is more. Till next time stick with us.